It’s always cool to be a little retro. When you’re retro, you’re bringing back a fashion or trend from the past. People are wearing clothes from the last century. They’re even listening to music on vinyl records. Now you can get a little retro with your English learning, too. Just tune into some great English radio. Even though YouTube, Netflix and podcasts are more popular than radio these days, that doesn’t mean radio is dead. In fact, the radio offers tons of brilliant opportunities for English learners to practice and grow. And you don’t even need a physical radio to access it—all you need is an internet connection. 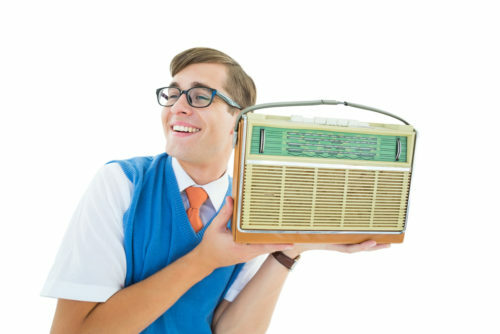 In this post, we list out all the steps you need to follow in order to improve your English listening using the radio. We’ll show you 13 of the best English programs for all levels of learners, and how to get the most out of them in four steps. English learners should always start practicing with radio stations that are tailored for them. Generally, the speakers in these shows talk at a slower pace, use simple vocabulary and discuss topics that introduce/explain the culture of native speakers. The aim of these radio shows is to improve listeners’ overall comprehension of English in a natural context. 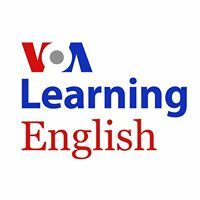 Voice of America is one of the most well-known online resources for learning American English. 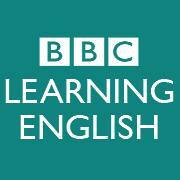 Their “Learning English Broadcast” is a radio program especially designed for beginner and intermediate learners. In this radio program, the presenters always speak in a much slower and more clear voice than radio shows meant for native speakers. The vocabulary is also specially selected so that the learners can easily understand and pick up the meaning of the words used in the show. The content of each episode is usually related to current events in the world. Topics include entertainment, politics, war, science, culture and the internet. For instance in this episode, they talk about the Academy Awards (also called the “Oscars”). This show also features interviews and in-depth descriptions of events. Every episode is about 30 minutes long and is perfect for comprehensive, daily English listening practice. Beginners should listen to each episode with breaks in between because it might be hard to remember the words if you listen to it in one sitting. 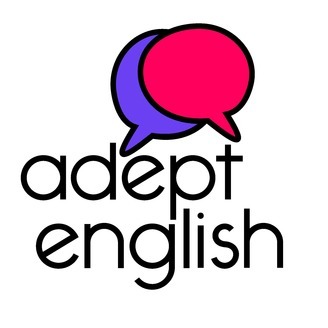 “Adept English” aims to make English speaking as natural for learners as their own native language. Each episode of this radio show is about nine to 15 minutes long, which makes it great for beginner practice. The show touches on both technical language topics and general facts, cultural events and news. The technical topics include idioms, grammar, learning tips, acronyms and so on. Some more general topics covered in the show include Christmas trees, fitness and health, pollution and other things generally related to English speaking countries. The show pays special attention to the cultural aspects of English conversation and what’s acceptable under different circumstances. The host of the “Adept English” show has a British accent so speakers can learn the U.K. version of English through this show. As the name suggests, this show provides short episodes for quick English listening activities. These episodes are ideal for intermediate learners. The audio itself seems like any other radio show with simpler English. But under each episode there are activities, practice questions and a list of words with their meanings, which can be used to improve your vocabulary. The radio show’s pages also provide the conversation in text form, which means that you can also practice your reading comprehension with this show. But since the transcript (the written text of a speech or a verbal conversation) doesn’t match the content of the audio completely, it’s best if learners first listen to the episode and then read the transcript. After listening to a particular episode of a show, you should try to listen again while shadowing the dialogue. To shadow something is to repeat what’re hearing while you listen. The focus is on getting the pronunciation right and recreating sounds like a native. This also helps in differentiating between similar sounding words. To get started, select a five-minute section of your favorite radio episode from one of the shows above. Preferably, you should practice with parts where you couldn’t understand the meaning of the words or found it difficult to pronounce them. While shadowing, record your voice (more on that below) and listen to it after the shadowing exercise. Then you should compare your voice to the voice of the speaker in the original radio episode. Note any errors or look up any words that you still don’t understand. You should repeat the exercise until you feel that you’ve improved according to your standards and are able to understand the content better. For an in-depth guide to the process of language shadowing, see this article. Below are helpful apps and tools you can use for effective shadowing. 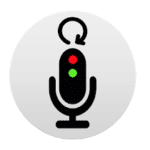 Repeat player is a wonderful Android recorder designed for language learners. You can select parts of an audio file that you need to focus upon. The app repeats the selected part so you can gain a better understanding of the content. You can also set the playback speed to better suit your listening needs. This app is free to install. This player is perfect for exercises where you need to listen to what you’ve recorded immediately. This app stops recording when it hears that you’re done talking—no tapping necessary—and then instantly plays back the recording. For shadowing with the radio, you’ll need to make many recordings and this tool might help you focus on your practice rather than your phone. For a similar app on iOS devices, check out Voice Recorder & Audio Editor. Since shadowing forces you to listen very actively and pronounce very carefully, it’s difficult and requires lots of practice. If you’re looking for additional tools to get better at shadowing, FluentU is a great option. FluentU provides authentic English videos, like news programs, inspiring talks, music videos and more, that’ve been transformed into language learning experiences. Each video comes with interactive captions that you can click for an instant definition and native pronunciation of any word. The video automatically pauses while you’re learning, making shadowing much easier and less distracting. The videos are organized by genre and learning level, so it’s easy to find something that works for you. FluentU also suggests new videos based on what you’ve already watched, creating truly personalized lessons. 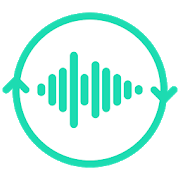 Best of all, since you’re learning with real English content that native speakers watch, FluentU is the perfect stepping stone to our next radio learning activity: listening to native English radio. There are even some audio dialogues if you want to stay as close to the radio as possible. Check out the full library for free with a FluentU trial. After you’ve mastered the basics and have familiarized yourself with the English language, it’s best to start listening to radio programs that are meant for native speakers. The most striking difference that you’ll notice in these stations is that the speed of speech is often much faster than the stations that were created for English learners. So it’s best to start your listening practice by selecting a small selection of programs that you can listen to repeatedly. The vocabulary, the format, the pace and the style of speaking varies according to the genre of the station. This makes it very important for learners to decide what kind of English they want to learn and why. We’ve selected a range of radio stations that have great content for English learners with varied interests. 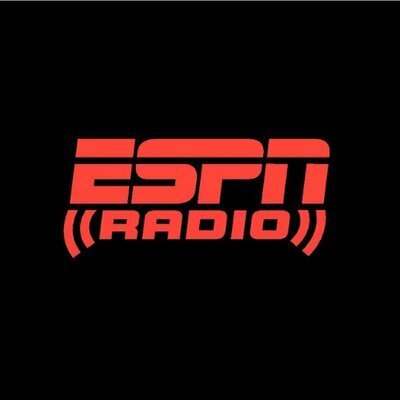 ESPN is one of the world’s most established sports news stations. This station exclusively covers sports and features live commentary, talk shows, discussions and interviews with various sports stars. It uses American English as it’s located in the U.S. The content often goes deep into the technical aspects of one sport. This is why learners should listen to shows that talk about the games they already know about. Or you can learn the basic vocabulary used in a particular sport before listening. It might be a good idea to start by watching a game and then listening to the commentary of that same game to get more cues. This is recommended for intermediate learners as most beginners will find it very difficult to understand the conversations in this station. 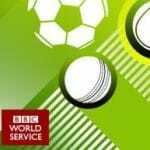 “BBC Sportsworld” caters to people from all over the world. It uses British English for all its content. It covers almost all sports, from soccer to basketball to cricket. The station always has reporters in major games. The station has live commentary mixed with discussion, analysis, interviews and talk shows. The radio station covers all the major world sporting events like the Olympics, the Commonwealth Games, the World Cup and so on. You have the choice of listening to the station live or you can use its website to listen to pre-recorded episodes. The station also likes to interact with its audience through social media and phone calls. WNYC is a famous public radio station located in New York, in the U.S. It features general interest radio shows for the American audience. The shows on this radio station usually focus on policies that affect the everyday life of the public and social problems that need to be solved. It invites experts and interviews policy makers to get a sense of the cultural problems that are prevalent in American society. Popular WNYC shows that cover these subjects include “1A” and “The Brian Lehrer Show,” both of which are discussion-style shows that are best for upper-intermediate to advanced learners. 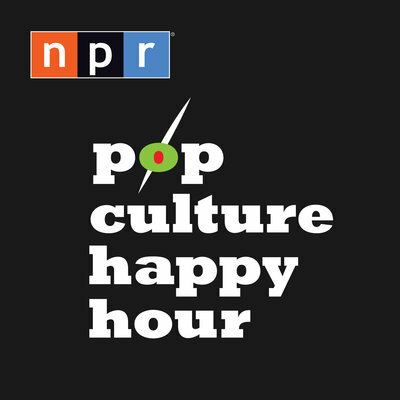 WNYC radio also hosts programs about music, books and other cultural events. It also partners with the BBC World Service to deliver international news to their American listeners. 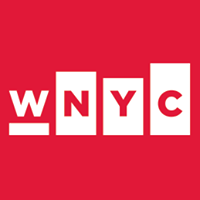 You can listen to WNYC live from their website or check out the full list of WNYC shows here. English students who want to learn about American culture in a serious way will find this station very useful. You can learn how English speakers converse about serious topics and what kind of tone is used during such conversations. 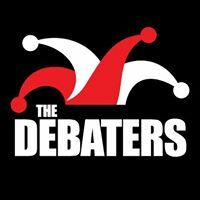 “The Debaters” is a famous Canadian show hosted by the comedian Steve Patterson. Although people in this show debate various topics, it’s meant to be funny. The topics themselves seem to be about silly things, which obviously won’t be featured in serious debates. Some examples include debating whether people should take their dogs everywhere, whether cows are superior to chickens or whether New Year’s Eve is the worst night ever. The show helps learners explore everyday aspects of life. It’s a light and non-serious take on issues that every native English speaker has to deal with in their country. Each episode typically runs for 15 minutes and is good for intermediate to advanced learners. It’s also great for people who want to learn Canadian English and know more about Canadian culture. As the name suggests, this show focuses on anything that’s popular in the fields of movies, music, books or culture in general. Usually the show hosts chat among themselves about a show, an event or a trend they’ve observed recently. They also interview authors, film makers, musicians and other famous personalities. Although it’s a part of the NPR, an American radio station, the content of the show appeals to the general English-speaking world. They select works from all over the world that might help learners connect to this show more. Generally the speakers use American English, but that can change depending on the guest who’s invited to speak. Since there are several speakers who sometimes talk over one another (talk simultaneously), only intermediate to advanced learners should use it for listening practice. If you want to learn a more formal and serious kind of English, then this show is perfect for you. It features stories from around the world about history, current events and special people. Although the show is produced by the BBC and the host uses British English, its focus is on the world. With its broad range of topics, any learner is bound to find something about their country or culture. The format of the show is also ideal for listening practice as usually only one person narrates the story in a clear way. That person can either be the host of the series or an expert who’s researched or witnessed a particular topic. The show will also be helpful for people who are learning English for a career in international bodies like the United Nations or want to study history or international relations. 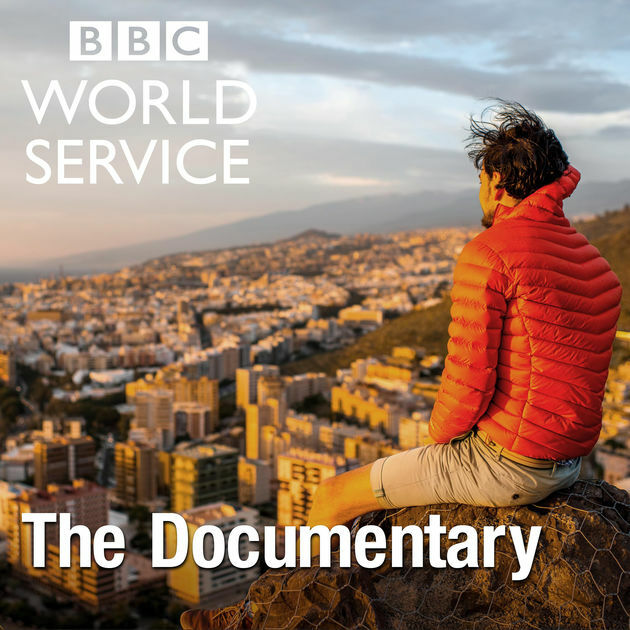 “The Documentary” uses complex language and is only useful for advanced learners. Anderson Cooper is one of the most famous journalists in America. 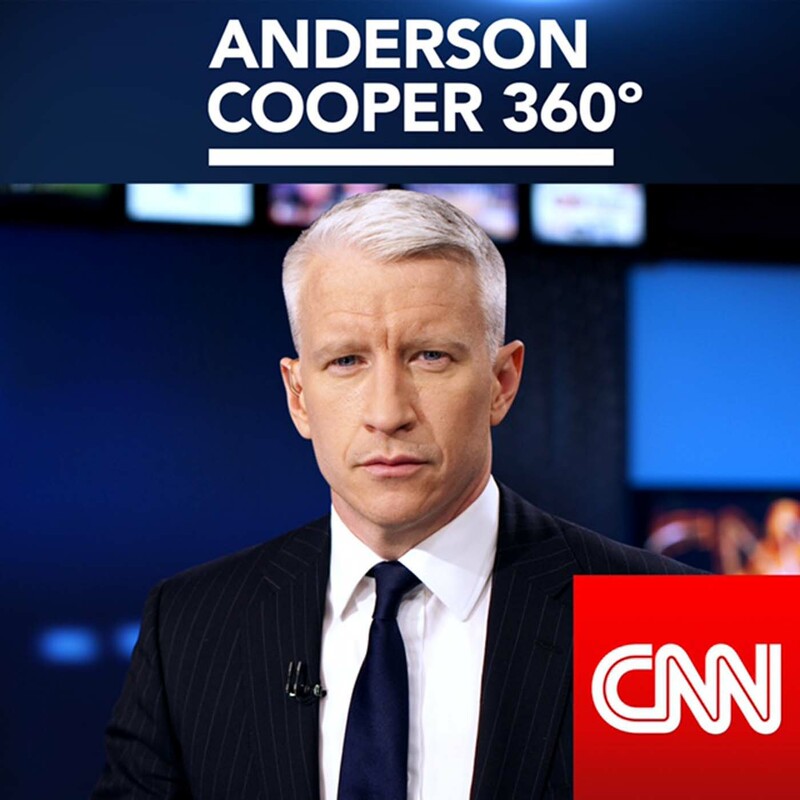 His show “Anderson Cooper 360” has been running since 2003 and is a source of all the latest news that matters. He speaks in the “General American” accent and he’s known for his formal and neutral tone. He generally gives a brief context and background to his listeners while he reports the latest events. In his show, his major focus is on American politics and the policies of the U.S. government. Learners who are interested in this aspect of America or plan to study and make a career in this field will find his show interesting. Since Cooper has been a reporter since the 1990s and has hosted respectable shows like “60 Minutes,” any English learner who wants to go into journalism will obviously gain valuable knowledge from this show. The pace of this show is extremely fast and it’s recommended only for advanced listeners. 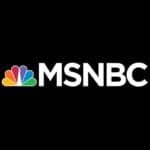 MSNBC is another American news station, but its news program is closer to a conventional news show than “Anderson Cooper 360.” It’s better for intermediate learners as the speed of speech is considerably slower in this station and it’s easier to follow what the hosts are saying. The range of this news channel is wider than the previous one and they talk about general events like accidents, trends, new technologies and celebrities along with politics and the government. The channel also uses simpler words while reporting and their audience base is larger and more diverse. 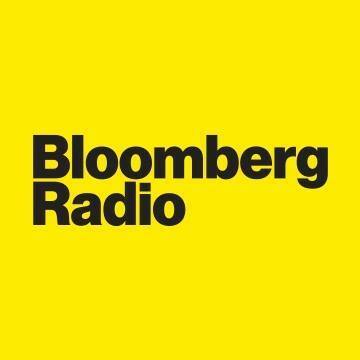 Bloomberg is an international news channel focused on finance, business, markets and everything related to them. They often cover legal cases, American politics and policy changes that influence markets. This radio show prefers to use simple language and a steady tone, although you’ll also hear a lot of technical financial terms. If you’re trying to learn English for business, it’s preferable that you listen to this station for about 10 minutes, note down the headlines and any technical words, then go to their main website to read an article about the news story (you can browse for specific shows or just put the headline or key words from the episode into the search bar). This station is useful for intermediate learners, as beginners might find it hard to follow. This station is part of the famous finance newspaper The Wall Street Journal. Unlike the previous station, each episode of “Your Money Briefing” focuses on a particular topic and analyzes it. Instead of reporting on news stories, it chooses to trace the effects of government policies, talk about the market and give advice to its listeners. It focuses on the larger economy as well as personal finance. It also has episodes where it explains in simple terms how certain things like the housing shortage affect the overall economy. Their focus is on the U.S. economy and they use American English. The show has various elements like narrations, snippets of audio and interviews that make it interesting. This doesn’t make it harder to follow and the language used is as simple as possible. For listening practice, this is good for intermediate as well as advanced learners. After listening to these authentic English radio shows and stations, it’s important to review what you’ve learned. One of the best ways to do this is of course to summarize what you’ve heard immediately after you finish listening to it. For the most effective summary, note down the main topic, the various points mentioned in the show, the sequence of arguments and finally some important words relating to the topic. Flashcards are the best method for memorizing the new words you find out in every listening session. Flashcard apps make the whole process much more simple and convenient. But ultimately, the best way to learn a language is to use it. Since radio shows are constantly giving you lots of information, you can use this opportunity to share your knowledge and initiate some conversations online. Social media sites are the perfect platform to do this and it’s a good idea to use them in your language learning sessions on a regular basis. Just go to the Facebook page for the radio show or station that you prefer and start commenting! Although we’ve recommended these four steps to improve your English listening, your own learning level, needs and individual progress will ultimately decide your practice sessions. Add or remove as many things as you think is needed for your own improvement.